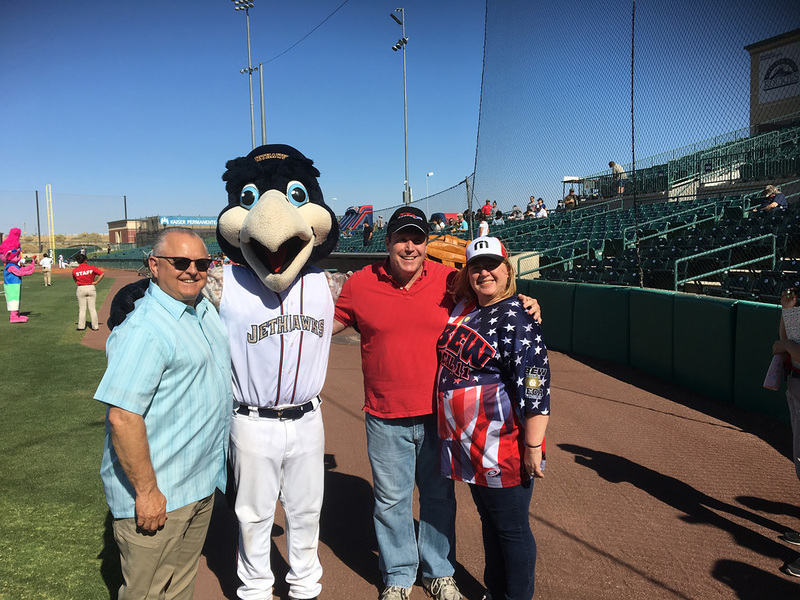 Sacramento – Senator Scott Wilk, R-Santa Clarita, and Assemblyman Tom Lackey hosted an event at “The Hangar” the Lancaster JetHawks Home Stadium for approximately 250 local children and parents who have not had the opportunity to see a professional baseball team in action. “Sports are a powerful way to learn life lessons about hard work, persistence and how to achieve your goals. I am so proud that young people from across the Antelope Valley were able to attend this outstanding event put on by the JetHawks,” said Lackey. The JetHawks is an Advanced “A” Affiliate Baseball team of the Colorado Rockies . The JetHawks hitting coach Tom Sutaris, and players Allen Trejo and Wes Rogers spoke with the kids about the importance of staying in school and preparing their minds and bodies for the future. The players shared personal stories about the importance of keeping fit, eating healthy and avoiding drugs and alcohol. Lunch was provided by the IBEW (the International Brotherhood of Electrical Workers). Senator Wilk and Assemblyman Lackey spoke to the children before throwing out the first pitch. Clearly the pitch was lucky as the JetHawks outmaneuvered the Quakes 10-9. A great game – a good time was had by all.